This superbly located comfortable 2 bed modern apartment - with full balcony provides guests with unsurpassed 180� sea views. 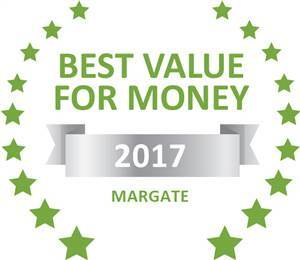 The apartment is fully equipped and located in the popular coastal town of Margate. The apartment is within a fully secure complex and includes one undercover parking. The complex has a swimming pool, tennis court and BBQ areas. The South Coast of Kwa-Zulu Natal is undoubtedly one of South Africa's most popular, and growing, holiday destinations. The jewel, described as being the coastal town of Margate. On the shoreline of the Indian Ocean, Margate offers golden beaches, rivers and numerous lagoons. Close proximity to world renowned golf courses. Excellent transport links (N2) connects Margate to Durban, the largest city in Kwa-Zulu Natal. Constructed on a prime beachfront site - metres away from the beach. Park your car and relax. The main Margate beach front is a 10 min walk located far enough away from the noise of the main Margate beach front. Town Centre is a 5 min walk. 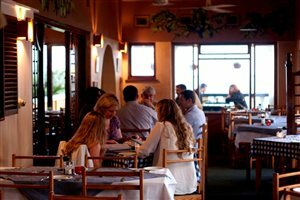 Which provides numerous restaurants, shopping facilities from select shops to supermarkets and entertainment facilities. 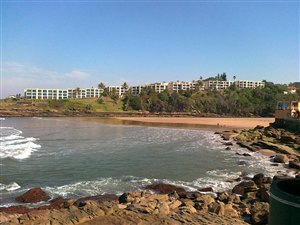 Wild Coast Casino is only 20 min drive and a wonderful excursion for all the family. The Oribi Gorge - a place of echoes - was created over millions of years as the Umzimkulwana River carved its way over flat rock, finding faults in the stone and eroding enormously deep and narrow gorges. There is beauty wherever your eyes rest, but you can look forward to highlights such as: The Overhanging Rock; The Chimney; Camel Rock; The Needle; Baboon's Castle; Lehr's Waterfall; The Heads; Lovers' Leap. The unit comes with 1 double main bedroom with sliding doors onto the balcony which runs along the full front of the unit. The 2nd bedroom has 2 single beds. Bathroom has a bath and overhead shower facilities. All linen is provided. No towels will be provided. The flat has a TV and DSTV connectivity - just bring your own DSTV box and card! 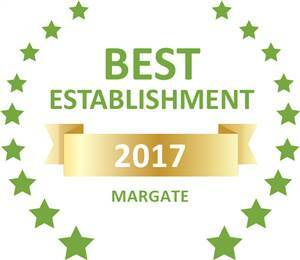 You may also hire in Margate. This apartment provides the perfect venue to engage in adventure activities, or to simply fall asleep to the sound of the surf. January 6th to 20th - R950 January 21st to 25th�March - R450 weekday R650 weekend March 26th to April 12th - R950 April 13th - 26th June - R450-R650 27th June to 19th July - R850 July 20th to 1st Oct - R450-R650 October 2nd to 11th - R950 October 12th to 9th Dec - R450-R700 December 10th to January 2016 -from R950 to R1450 Long stays are allowed at special prices, please let me know what your budget is. 2 bedroomed apartment 180 degree sea views and 1 undercover parking. 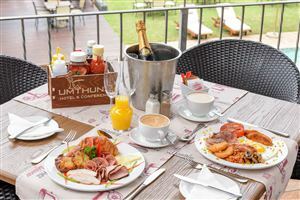 Out of season price R500 midweek and R700 weekend Higher rates during months indicates long weekend and school holiday. Please send quote for full price long booking recieve discounts. The facility is good but it needs a little tender care especially the pillows. It would be great if the air conditioner or fan can be installed as it gets a little stuffy due to the moist weather. What it also lacked was a dishwashing cloth, we had to go buy one and also there were no extra blankets and we are used to getting such basics when renting a self catering apartment where ever we go. The other thing that wasn't there was an inventory list so that we don't take any responsibility for things we did not break. I think the cleaning staff should be changed as they are not doing a proper job, they only clean where people can see. It would also be nice if the can supply at least one toilet paper for any emergencies when people arrive before they buy their groceries. This apartment is situated at the best spot and it has the best sea view, the balcony is safe for kids also but the outside furniture needs to be replaced is not in good shape. I will recommend the establishment to my friends and family. We had an awesome stay and the view was very nice!